Three weeks in July can only mean one thing – Le Tour du Lundi! Timed to coincide with the Tour de France rest days, our very own 3 week tour takes place every Monday evening with stage winners and and an overall yellow bidon. 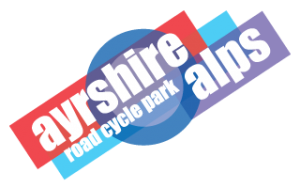 Stage 1 typically features the sort of short punchy climbs where the likes of Gilbert, Sagan and Gary Currie come to the fore. With a finishing sprint too there is even a chance for Cavendish, Kittel and McKellar. 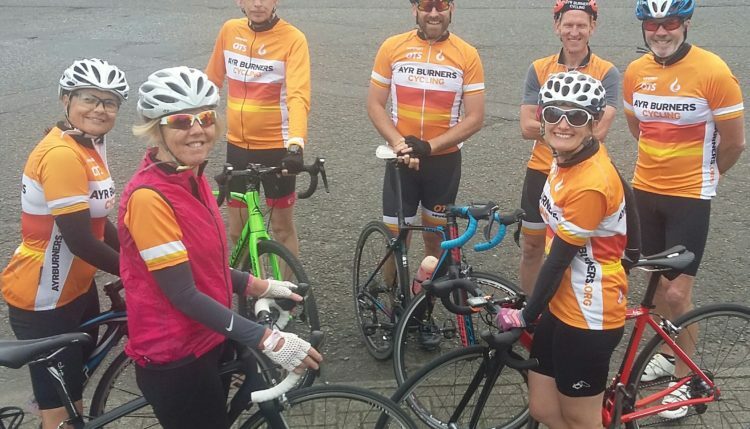 And of course, between the 3km of fast and frantic strava bagging, there is a great social ride on a summers evening with all the chat and banter you’d expect of a rest day. Bravo to our week 1 winners Gary Currie and Jo Baxter! 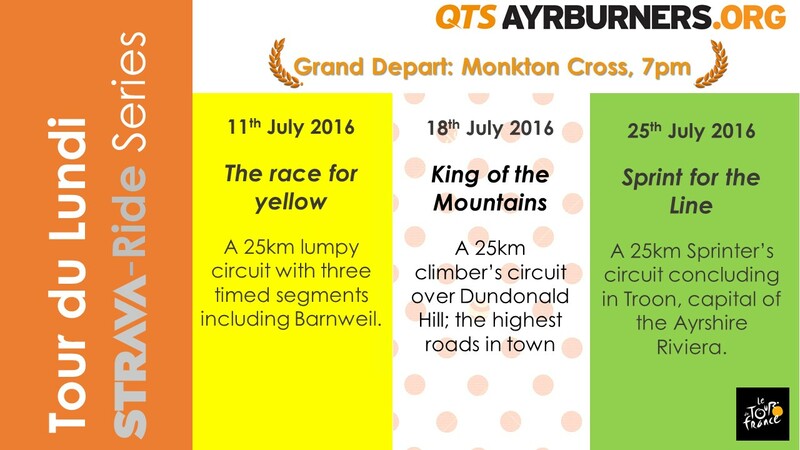 Next week (Monday 17th) we head to the high mountains of Dundonald… If you missed week 1 you can still play for the stage win and potentially event the overall – all ‘new’ riders will be awarded the slowest time for the previous stage plus a 1min penalty.